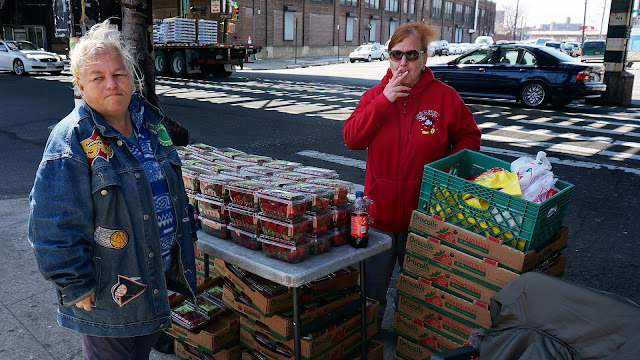 Karen and Joanne sell hot fruit on a folding table under the elevated train on Avenue X. They set up their beach chairs at 7AM and wait for the truck to drop something off. say, because no one can resist bringing a 50¢ pineapple home to their family after work. I finally farted out the last of those strawberries this morning.